NC artist Eric Serritella will have two pieces featured in Tricks of the Trade: Illusions in Craft-Based Media at the Fuller Craft Museum in Brockton, MA. The exhibition composed of entirely trompe l’oeil (“fools the eye” in French) work. This hyper-realistic style of craft, while technically magnificent, also comes with great narrative qualities, speaking to themes of political strife, community, and personal experience. Other featured artists include Marilyn Levine, Richard Shaw, Tom Eckert, Claude Chavent, Victor Spinski, Michelle Holzapfel, Miriam Carpenter, Steven Hansen, and Dan Anderson, amongst others. 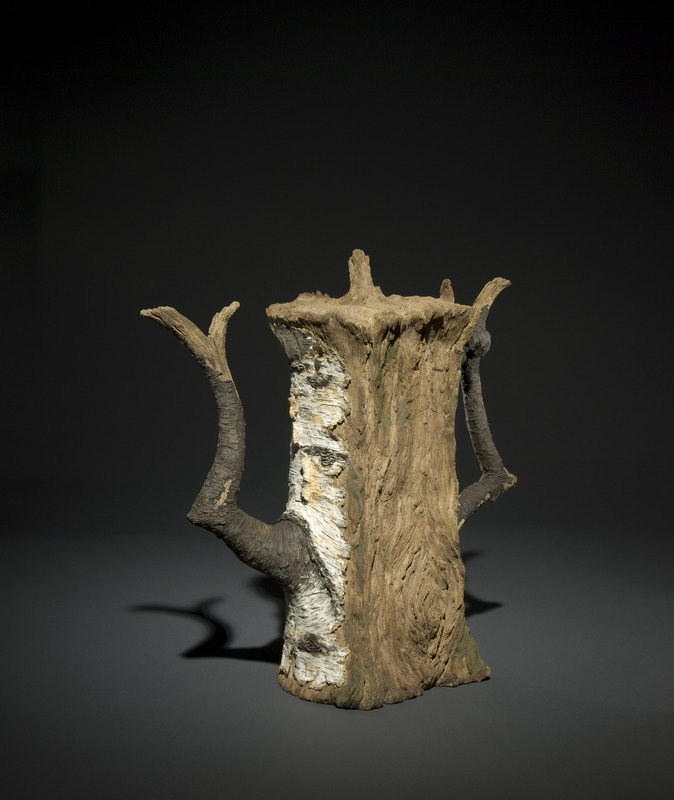 Serritella’s Split Birch Teapot, which appears in the show, was acquired by the Fuller Craft Museum for it’s permanent collection.